It's officially October, which means it's time to kick off a month full of spooky celebrations. 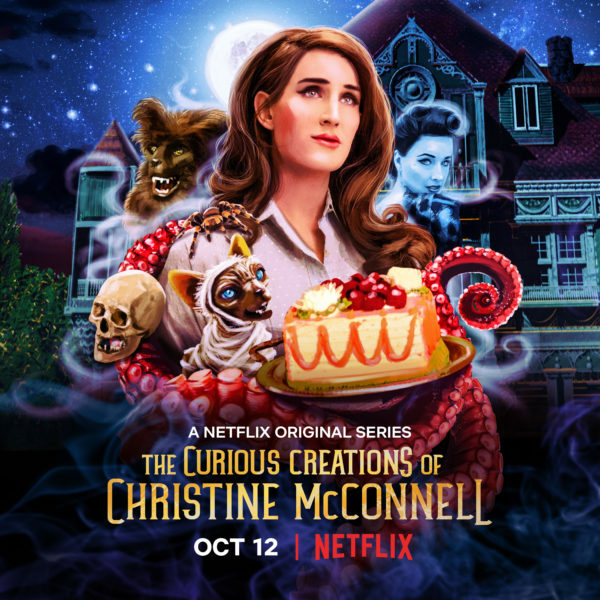 And while you might already be indulging in some of your favorite Halloween movies and shows, Netflix is here to offer you The Curious Creations of Christine McConnell, a great new show that combines the fun of a baking show with the spirit of Halloween. The Curious Creations of Christine McConnell takes you into the unusual home of baker and artist Christine McConnell where you can join her and her collection of creatures as she creates some of the most creative, cool, and wonderfully creepy treats and decor. It's basically what you'd expect if Morticia Addams or Lily Munster decided to host a cooking show, so we are obviously here for it. Netflix released a trailer for series, and we're pretty sure you're gonna fall in love with it, too. Christine McConnell has already made a name for herself thanks to her out-of-the-box culinary skills, so we're not surprised she's earned herself a Netflix cooking show. Her recipes are always so incredibly imaginative. In addition to McConnell and her creepy creature co-stars (that were made by Henson Alternative, an arm of The Jim Henson Company), The Curious Creations of Christine McConnell also stars Dita Von Teese. This show is shaping up to be an absolutely integral part of our Nerdoween celebrations, and we can't wait for some haunting inspiration for some ghoulish treats and crafts to try out this month. The Curious Creations of Christine McConnell premieres on Netflix on October 12. What do you think of the trailer for Christine McConnell's new show? What project are you most excited to see McConnell tackle? Let's talk about it all in the comments below!